As Iranian officials warn of flash floods in more than 25 provinces in Iran, reports from flood victims indicate that the regime has failed to provide much needed aid to flood stricken areas. Vides on social media showed residents of Sarpole Zahab and Salase Babajani, who are still without minimum facilities more than a year after an earthquake struck in the west of Iran, gathering food and supplies for flood victims in the north. Here is #Iran, a country where the ruling regime cares nothing about you the people who are living under the poverty must help the flood victims. Tabnak state-run website also reported on the critical state of northern provinces, adding that officials had failed to act in time. “The important issue to note about the destructive and lethal flash floods… is the failure of officials to be by the side of flood victims,” the website wrote. “This failure was so significant that a few days after the floods, in a crisis management meeting with the presence of (Eshagh) Jahangiri, the First Vice President, the governor of Golestan was dismissed; A governor who was on vacation abroad,” Tabnak wrote. According to reports at least nine people died in the northern provinces of Mazandaran and Golestan and the north eastern province of North Khorasan. The floods have been most severe in the north in the past few days but have now reached southern provinces as well. Videos on social media show flash floods in the southern town of Shiraz in Fars province with cars being swept away. Social media reports indicate a high number of fatalities though the numbers have yet to be confirmed. Many of the flood victims were travelers from other areas who had come to Shiraz for the Nowruz holiday. Update: Tasnim state-run News Agency said that at least 18 people, including four children, were killed and 74 were injured in the Shiraz flash floods. This is while a source in the Shiraz emergency unit said that at least 120 people were killed in the flash floods. Iran News Wire cannot independently confirm the fatalities. 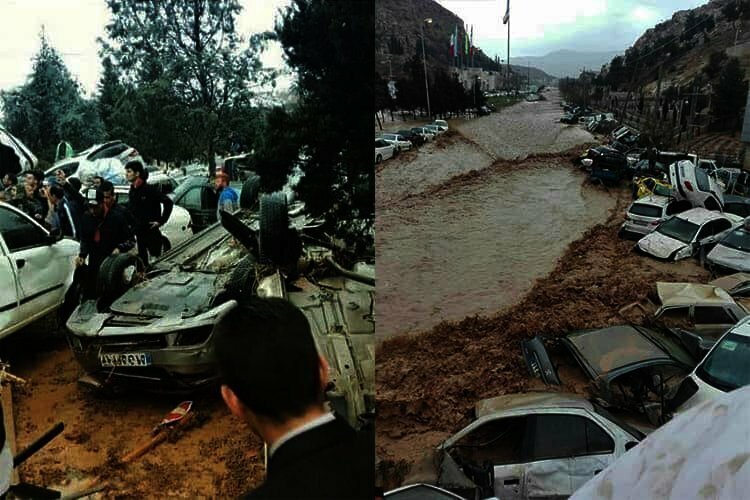 Images show the flood disaster in Shiraz & other cities. Areas in the west, southwest, south-central & northeast remain in such conditions. More footage of devastating floods. According to the IRNA state-run News Agency, Arvand River in the southern city of Abadan was also flooded with water washing in on the streets. 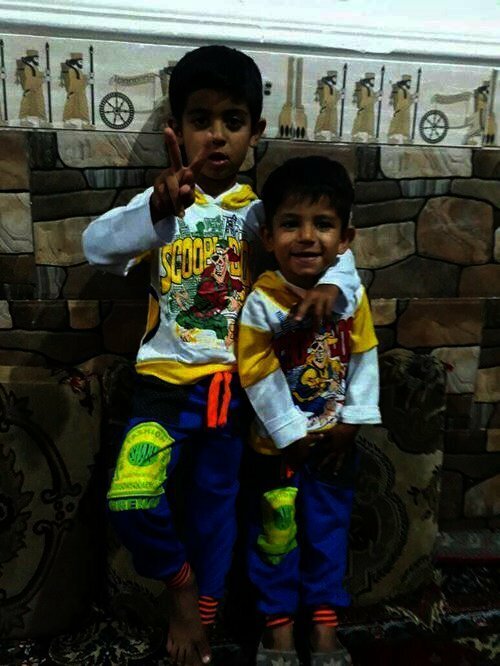 Update: The two brothers have been identified as Mohammad-Ali and Heidar-Ali Siameri. Dez dam in SW province of Khuzestan, overflows due to the rising water level of the rivers. More footage of today's devastating floods.